Tokyo, Japan March 22, 2019—- Hitachi Construction Machinery Co., Ltd. (TSE: 6305; “Hitachi Construction Machinery”) today announced that it has decided to establish a new regional headquarters in Oceania on April 1, 2019 in order to strengthen its business in the region and further expand its construction machinery sales as well as parts and service business. With an abundance of mineral resources such as iron ore and coal available in Australia, to date, Hitachi Construction Machinery has supplied a large number of Ultra-large Hydraulic Excavators as well as Ultra-large Rigid Dump Trucks for mining, occupying the top shares year after year. As a part of One Hitachi, which works to promote cooperation between the various companies within the Hitachi Group, Hitachi Construction Machinery is proceeding with the development of autonomous haulage systems for Rigid Dump Trucks and working on test runs with actual machines together with their customers, with a goal of starting commercial operations within Fiscal 2019. For operations up until now, Hitachi Construction Machinery has supplied construction machinery as well as parts and services through two companies: Hitachi Construction Machinery Australia Pty., Ltd., overseeing business in Australia, and CablePrice (NZ) Limited, overseeing New Zealand, both of which have operated independently. Going forward, through the establishment of a new regional headquarters, Hitachi Construction Machinery will be supplying Oceania collectively through its new headquarters and working to optimize efficiency in its sales of new and used machinery as well as parts and service business, strengthening and expanding its value chain that focuses not only on new machinery, but also on the parts and service business and solutions business in the market, where growth continues to be anticipated. The Hitachi Construction Machinery Group has been involved with providing Reliable solutions to stand out against social issues in various regions as both a close and reliable partner. 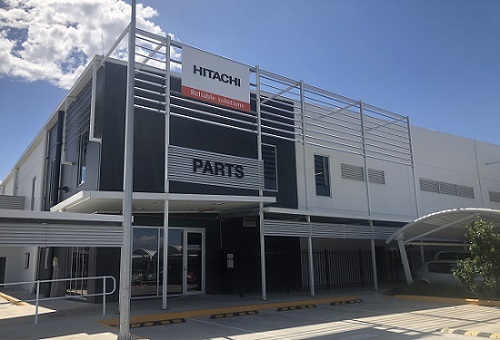 The Hitachi Construction Machinery Group will continue to bring even better quality machinery and solutions to the Oceania region and work to solve the various issues customers face in their businesses. Company name : Hitachi Construction Machinery Oceania Holdings Pty., Ltd.